Blue State Coffee Donates 2% to Farm Fresh RI through June! 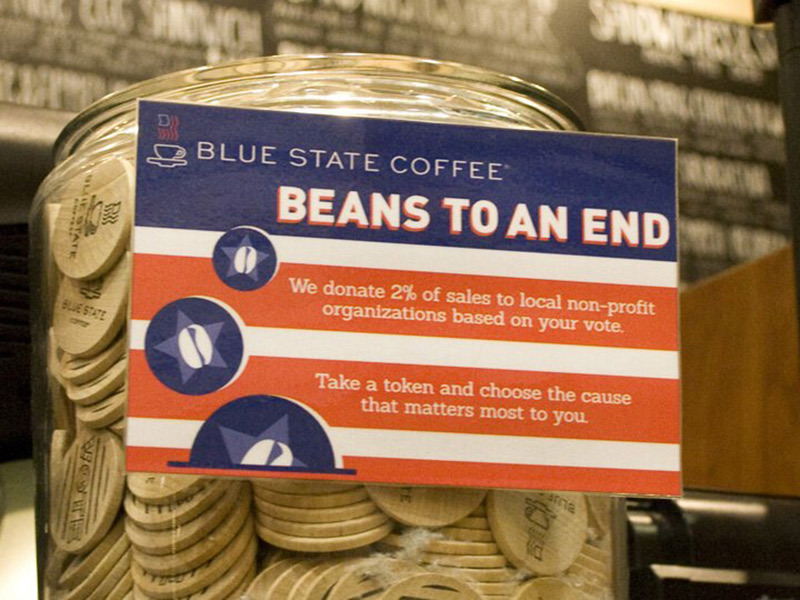 Did you know that Blue State Coffee donates 2% of sales to local nonprofit organizations? They choose four local nonprofits at each of their stores twice a year for a six-month period. Each time a customer makes a purchase, they can vote for one of those four nonprofits. Blue State Coffee then allocate 2% of sales based on the number of votes each organization receives during the six-month donation period. 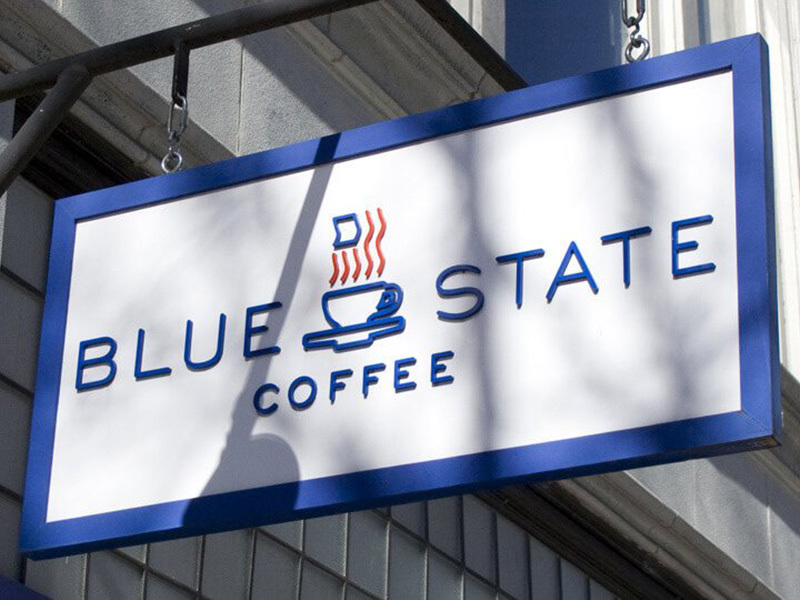 Now through June 30 — support Farm Fresh RI when you enjoy organic, fair-trade coffee and local foods at Blue State Coffee’s vibrant café at 300 Thayer St, Providence! Blue State Coffee is proud to have donated over $900,000 to more than 300 nonprofit organizations since their first store opened in July, 2007. Stop by any of their stores and suggest a local nonprofit organization you’d like them to support! Blue State Coffee is a family business. It all started in 2004, when Drew came up with the idea for a community-oriented coffee shop. The premise was simple: our ideals would guide how the company did business. We pledged to donate a percentage of sales to local non-profit organizations, to minimize the company’s environmental impact, to serve world-class coffee, and to treat employees as members of the Blue State Coffee family. Every day, we realize that vision. At each of our stores across New England, we strive to reflect, improve, and inspire our communities. We have donated more than $900,000 to over 300 local non-profit organizations. We source and roast delicious, fairly-traded coffees from around the world. And we have wonderful employees who joined our business because they believe in our mission. While we are proud of what we have accomplished, our work is not yet finished. We will continue to grow, creating community within our stores and demonstrating that business can be a positive force for good. To see what we’re all about, visit our stores in New Haven, Hartford, Providence, and Boston! A bulletin board for land, jobs, and agricultural stuff in Southern New England. Local Food Fest — Get your tickets now for a magical evening of food, farmers, and friends!